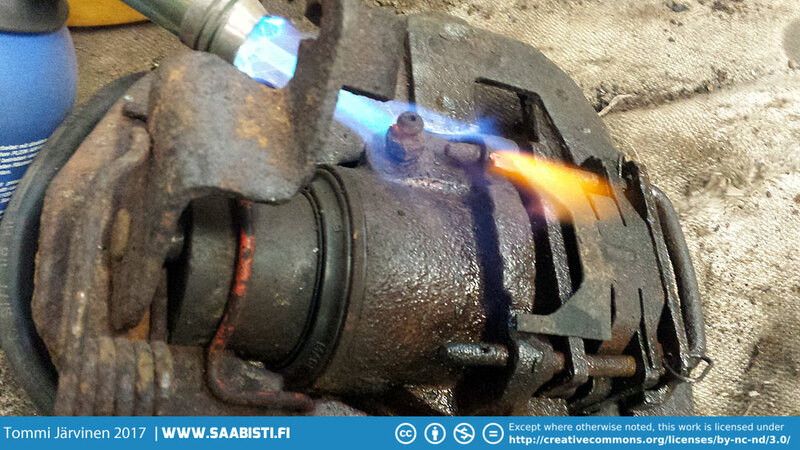 The Saab 99 front calipers can be a pain if not working properly. Especially the handbrake. But they are not that hard to rebuild. Some heat may be needed to remove nuts and bolts. Previous imageSome zinc paint between the iron components and re-weld. Next imageThe front brake cylinder after some bead blasting.